Selangor, Malaysia, July 7, 2015 - (ACN Newswire) - Researchers in Malaysia have found that the peel of langsat fruit contains antioxidant compounds that could be used to develop nutraceuticals. 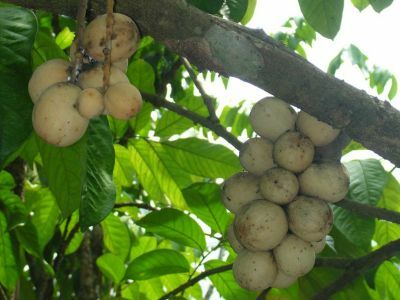 Langsat (Lansium domesticum) is a tropical fruit that is commonly cultivated in Southeast Asia. The fruit is rich in fibre, vitamins and minerals, while the peel of langsat contains phenolics and carotenoids, and is traditionally used as an anti-diarrhoea medicine. Anti-oxidative components found in medicinal fruits such as langsat are natural alternatives to synthetic antioxidants (such as butylated hydroxytoluene and tertiary butylhydroquinone), which are added to food as preservatives despite being potentially carcinogenic. Past research has shown that some tropical fruits have higher antioxidant activity in their peel than in their pulp, but the literature on the presence of antioxidant in the peel of langsat has been scarce in Malaysia. In a paper published in the Pertanika Journal of Tropical Agricultural Science, a research team from UCSI University and the Universiti Putra Malaysia in Malaysia evaluated the total phenolic content (phenols are anti-oxidative compounds) and antioxidant activity of langsat peel extract and peel extract fractions of langsat fruit. Their aim was to determine whether langsat peel has potential for the development of natural antioxidants, and whether fractionation is a suitable method for extracting these compounds. The researchers found that the total phenolic content of langsat peel extract was up to four times higher than each of the extract fractions, while there was no significant difference among the extract fractions. Similarly, the peel extract also showed the highest antioxidant activity. The team concluded that langsat peel has antioxidant components that are ideal for developing nutraceuticals without fractionation. The researchers also recommended further studies to help identify the structure of the phenolic compounds found in langsat peel.